The Young Adult book club has had a great run. However, the last few meetings have generated little interest and no turnout. While offering this book club is something that is important to us, we also can’t continue to pour resources into an event that just doesn’t work for our community. So, we are going on a hiatus starting right now and lasting until the end of winter. We are going to use this time to come up with a different marketing approach and figure out the best way to bring this group to the people who would most benefit from it. Thank you to everyone who has participated so far. We appreciate all of you and are looking forward to returning in the spring. Supervillains and criminals meet their match with Tony Stark's friend Squirrel Girl, aka Doreen Green, a college freshman with the appearance, speed, and agility of a squirrel. Fitting in proves to be challenging, as normal girls do not talk to or have a squirrel sidekick, nor do they have super strength. Then there is Squirrel Girl's roommate, who has a tough exterior and is obsessed with knitting and her cat. Luckily, Squirrel Girl has a knack for winning people over. When Galactus threatens Earth, the heroine must rely on more than strength to defeat the Devourer of Worlds. She may have extraordinary strength, an army of squirrels at her disposal, a collection of Deadpool villain trading cards, and nut-inspired catchphrases, but it is her ability to form connections with people that proves to be her most powerful asset. North and Henderson have created a fun, fast-paced graphic novel that will appeal to Marvel fans as well as readers who are unfamiliar with—or do not enjoy—traditional superhero comics. We're bright-eyed and bushy tailed just like this GIFy little guy to read and discuss this graphic novel. We can always get behind a main character who kicks evil guys' butts and makes us laugh while doing it. Comics Alliance Interview -- "She Has A New Hat: North, Henderson, & Moss Talk The New 'Unbeatable Squirrel Girl' #1"
The Mary Sue Review -- "Marvel's The Unbeatable Squirrel Girl Vol. 1 as Unbeatable as the Name Suggests"
IGN Review -- "The Unbeatable Squirrel Girl #1"
We like to include the Common Sense Media report for those of you that may not be familiar with the book and would like to know a little more about if before your kid comes to book club. You can view the report here but we've included the most important information for you below. You can also click any of the following images to get to the original webpage. This month's book club choice is one that we've been looking forward to for quite a while. Victoria Schwab (aka adult fantasy author V.E. Schwab) is a powerhouse of a writer. She's often compared to Neil Gaiman and this book in particular speaks to readers who like Laini Taylor and Holly Black. So, what's this one about? There’s no such thing as safe in a city at war, a city overrun with monsters. In this dark urban fantasy, a young woman and a young man must choose whether to become heroes or villains—and friends or enemies—with the future of their home at stake. Kate Harker and August Flynn are the heirs to a divided city—a city where the violence has begun to breed actual monsters. All Kate wants is to be as ruthless as her father, who lets the monsters roam free and makes the humans pay for his protection. All August wants is to be human, as good-hearted as his own father, to play a bigger role in protecting the innocent—but he’s one of the monsters. One who can steal a soul with a simple strain of music. When the chance arises to keep an eye on Kate, who’s just been kicked out of her sixth boarding school and returned home, August jumps at it. But Kate discovers August’s secret, and after a failed assassination attempt the pair must flee for their lives. 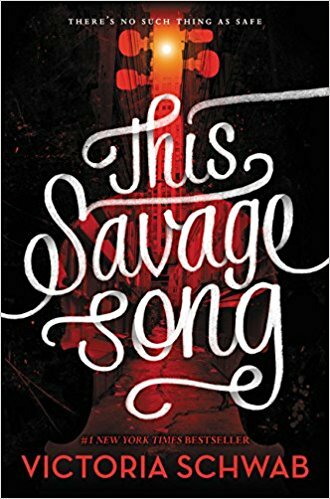 In This Savage Song, Victoria Schwab creates a gritty, seething metropolis, where her heroes will face monsters intent on destroying them from every side—including the monsters within. We can't wait to dive into this dark fantasy and then discuss it together. There's nothing better than making the line between good and evil, humans and monsters, a little bit blurry. We should have an interesting discussion at the meeting! The YA book club meets at the bookstore on the last Sunday of the month, October 28th, at 6:30pm. We will have drinks and snacks to share with everyone. Even if you didn't finish the book or didn't like it, we'd love to see you at book club and hear your opinions. 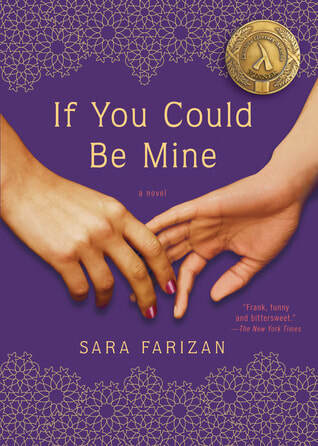 You can get your copy from the bookstore today with the 15% discount on book club titles. You can also RSVP to the Facebook event here. BookPage Interview - "Putting a Morbid Streak to Good Use"
Kirkus Review - "This Savage Song by Victoria Schwab"
Tor.com - "One Day at a Time"
We like to include the Common Sense Media report for those of you that may not be familiar with the book and would like to know a little more about if before your kid comes to book club. You can view the full report here but we've included the most important information for you below. You can also click any of the following images to get to the original webpage. This month's choice for the Young Adult Book Club is the winner of the Southern Book Prize in the Young Adult category, Flame in the Mist by Renee Adieh. We're very excited about this book, which has been called a mix between Mulan and Throne of Glass. Even better is that Renee Adieh is a North Carolina author! She lives in Charlotte, NC with her husband and dog. Now, if that's not enough to pique your interest, scroll down to see book reviews and interviews with the author! Readers who love historical fantasy will enjoy this series. We recommend this book for ages 13+. The YA book club meets at the bookstore on the last Sunday of the month, July 29th, at 6:30pm. We will have drinks and snacks to share with everyone. Even if you didn't finish the book or didn't like it, we'd love to see you at book club and hear your opinions. You can get your copy from the bookstore today for $10.99 but you'll always get a 15% discount on book club titles. You can also RSVP to the Facebook event here. TOR.com Review--"I'll Make A Man Out Of You: Flame in the Mist by Renee Adieh"
Bookables Video Review--"Flame in the Mist by Renee Adieh"
Krikus Reviews--"Flame in the Mist by Renee Adieh"
Publisher's Weekly Interview--"Q & A with Renee Adieh"
Book, Inc. Interview--"Author Interview with Renee Adieh!" Click the cover to purchase a hardcover copy online! We are incredibly excited for this month's YA book club meeting. 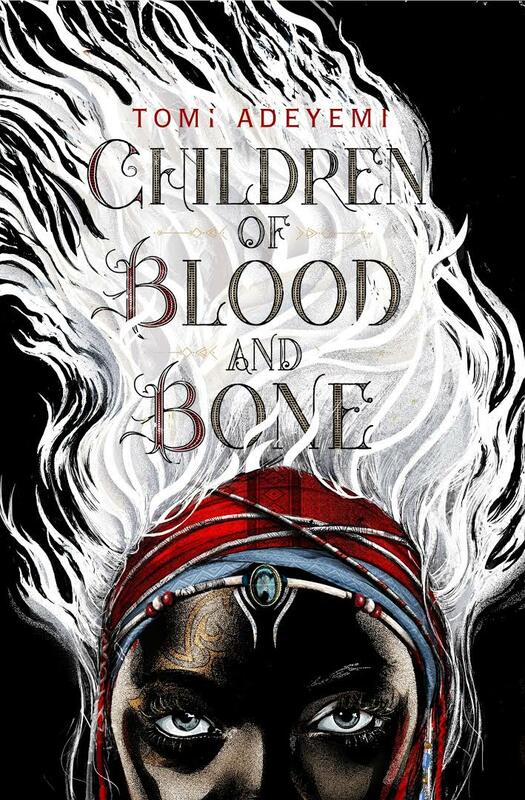 We're reading Children of Blood and Bone by Tomi Adeyemi--a book that our entire staff has already read and loved. A brilliant and lushly descriptive fantasy, Adeyemi brings the #BlackGirlMagic to the page with her powerful narrative about a people seeking to break free from the tyranny of a king who hates their very existence. Zélie Adebola remembers when the soil of Orïsha hummed with magic. 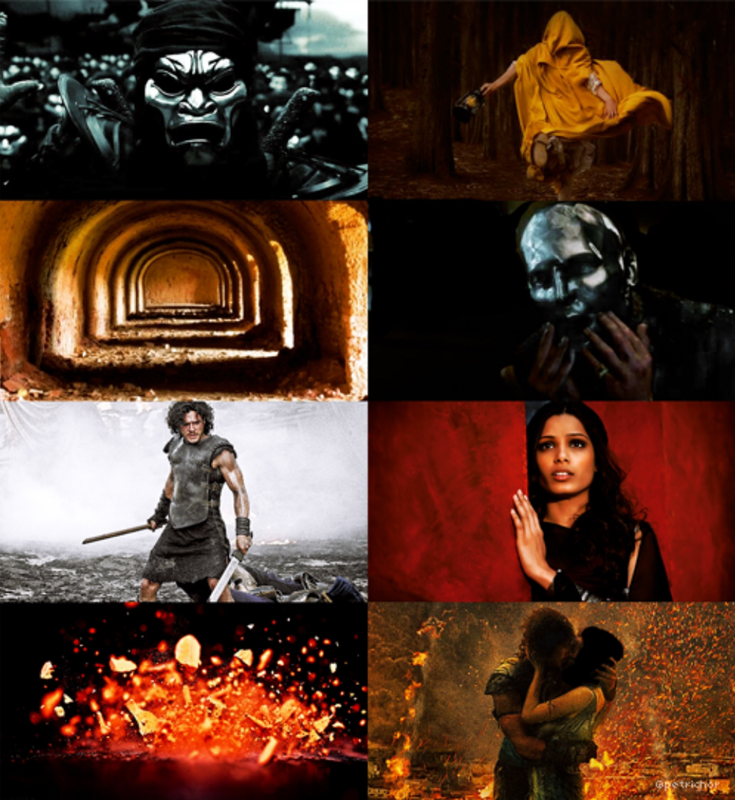 Burners ignited flames, Tiders beckoned waves, and Zélie’s Reaper mother summoned forth souls. But everything changed the night magic disappeared. Under the orders of a ruthless king, maji were killed, leaving Zélie without a mother and her people without hope. Now Zélie has one chance to bring back magic and strike against the monarchy. With the help of a rogue princess, Zélie must outwit and outrun the crown prince, who is hell-bent on eradicating magic for good. Danger lurks in Orïsha, where snow leoponaires prowl and vengeful spirits wait in the waters. Yet the greatest danger may be Zélie herself as she struggles to control her powers and her growing feelings for an enemy. A Kid's Indie Next Pick with five starred reviews from major review outlets, this book is an absolute hit. Plus, it's already been optioned for a film so we can expect to see Zélie and crew on the big screen sometime soon! Readers who love Black Panther and the Rick Riordan books will love this African mythology inspired adventure fantasy with strong characters. We recommend this book for readers age 15+. The YA book club meets at the bookstore on the last Sunday of the month, June 24th, at 6:30pm. We will have drinks and snacks to share with everyone. Even if you didn't finish the book or didn't like it, we'd love to see you at book club and hear your opinions. You can get your copy from the bookstore today for $18.99 but you'll always get a 15% discount on book club titles. We also have one book that we can give to someone in the community who would like to join in this month's reading but is unable to make the purchase themselves for financial reasons. This is first come, first serve but if you or someone you know would like to join us but wouldn't be able to otherwise, please email Mary at: owner@foggypinebooks.com. A huge thank you to the very generous Foggy Pine customer who made this possible. We like to include the Common Sense Media report for those of you that may not be familiar with the book and would like to know a little more about if before your kid comes to book club. You can view the report here but we've included the most important information for you below. 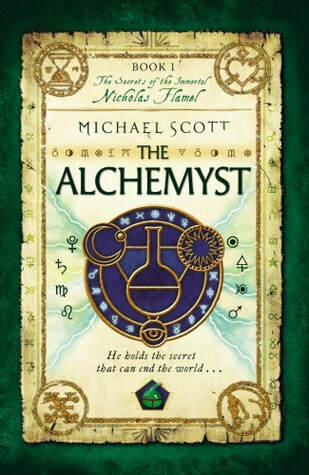 This month's YA book club choice is The Alchemyst by Michael Scott. No, not that Michael Scott ? The secret of eternal life is hidden within the book he protects—the Book of Abraham the Mage. It's the most powerful book that has ever existed. In the wrong hands, it will destroy the world. That's exactly what Dr. John Dee plans to do when he steals it. Humankind won't know what's happening until it's too late. While working at summer jobs in San Francisco, twins Sophie & Josh Newman find themselves caught up in a deadly, centuries-old struggle between rival alchemists, Nicholas Flamel and John Dee. Sometimes legends are true. And Sophie and Josh are about to find themselves in the middle of the greatest legend of all time. This book is recommended for readers who love of any of the Rick Riordan books (Percy Jackson series, Kane Chronicles, etc), Harry Potter, or Nevermoor: The Trials of Morrigan Crow. It's a rollicking fantasy adventure with enough action to keep you interested and enough mythological references to keep the brain engaged. We recommend this book to readers age 12 and up. We will meet at Foggy Pine Books on Sunday, May 27th at 6:30pm. Drinks & snacks will be provided. You can get your copy from the bookstore today for $10.99 but you'll always get a 15% discount on book club titles. You can also get the book in other formats from us online. 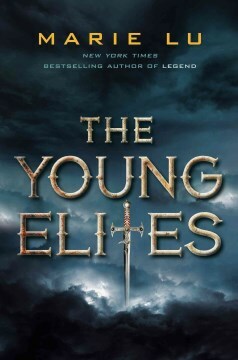 We're excited to read the popular young adult author, Marie Lu, this month for her book The Young Elites--the first book in a trilogy. We'll meet on Sunday, March 25th at 6:30pm at the bookstore. We'll have snacks and drinks to share while we discuss Lu's writing. Adelina Amouteru is a survivor of the blood fever. A decade ago, the deadly illness swept through her nation. Most of the infected perished, while many of the children who survived were left with strange markings. Adelina's black hair turned silver, her lashes went pale, and now she has only a jagged scar where her left eye once was. Her cruel father believes she is a malfetto, an abomination, ruining their family's good name and standing in the way of their fortune. But some of the fever's survivors are rumored to possess more than just scars--they are believed to have mysterious and powerful gifts, and though their identities remain secret, they have come to be called the Young Elites. Teren Santoro works for the king. As Leader of the Inquisition Axis, it is his job to seek out the Young Elites, to destroy them before they destroy the nation. He believes the Young Elites to be dangerous and vengeful, but it's Teren who may possess the darkest secret of all. Parents, the Common Sense Media site gives it four stars and the age recommendation is 12-15+. Read more here. Until our meeting, the book will be available at the bookstore in paperback for 15% off the list price of $10.99. You can also purchase it from us online in various formats and have it shipped to your home for free or available to download immediately. See below for links and prices. Easily our fastest growing book club, the Young Adult Book Club is open to young adults age 16+ and adult fans of the YA genre. We have members of all ages. 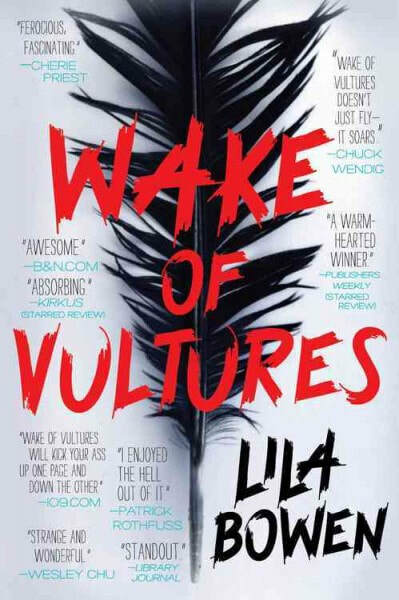 This month we're reading Wake of Vultures by Lila Bowen--one of Mary's favorite books to come out in the last three years. In this novel, the beginning of a series, Nettie Lonesome is indeed lonesome. She lives as a slave with a couple who have had her since she was a child and who insist on being called Ma & Pa. However, in one night, everything changes and Nettie ends up at another ranch with a job, friends, a good horse, and an even better gun. But nothing good lasts forever and Nettie soon learns that everything she thought she knew about her past and world is not true. So, Nettie sets off to find out about her history and to solve a new spate of kidnappings with the help of her new Ranger friends and some shapeshifters she met along the way. This is a western-themed fantasy that's suitable for teens and adults. Get your copy at Foggy Pine Books to get 15% off! If you'd like to listen to it instead, sign up for an account at Libro.fm and get a digital audiobook to listen to immediately. If you like to read on a device and prefer an ebook, you can get one from our online store and download to start reading today. Regardless of how you absorb the material, we want you to come to our meeting and let us know what you thought about the book. It's a great way to pass a Sunday evening and to meet people with similar interests. We welcome all new members and will be discussing titles that we'd like to read together at the beginning of 2018. So, come armed with an opinion and books you'd like to read together! We'll provide excellent conversation and snacks for everyone.